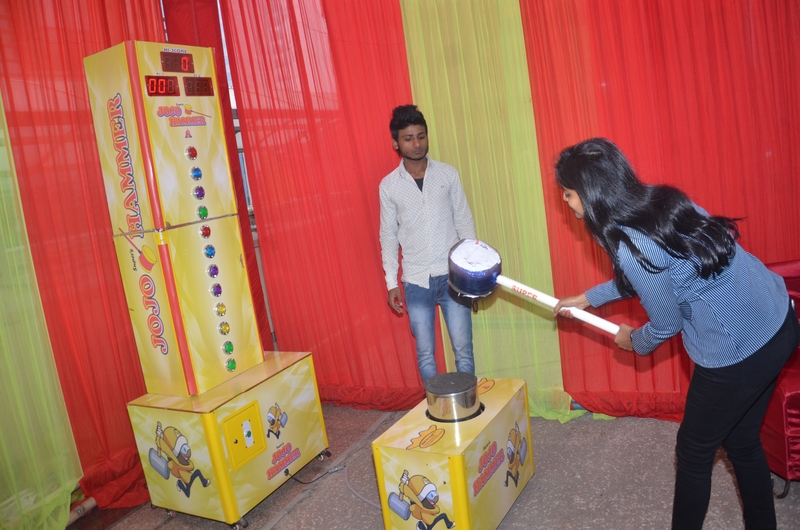 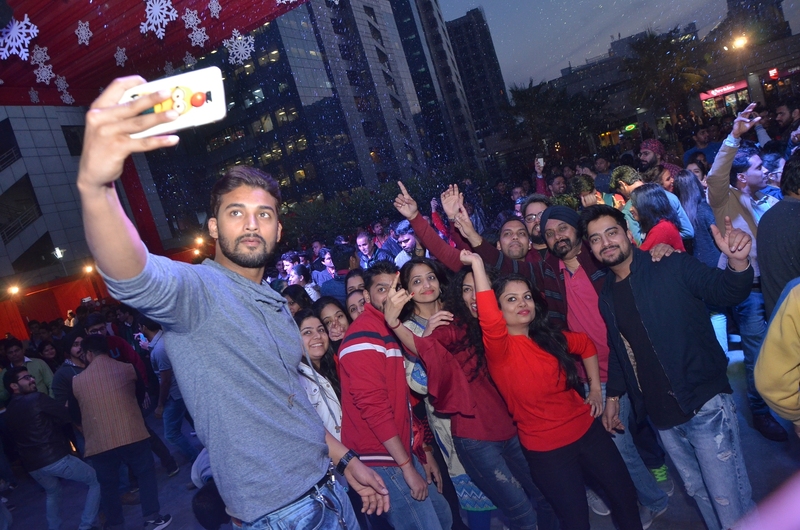 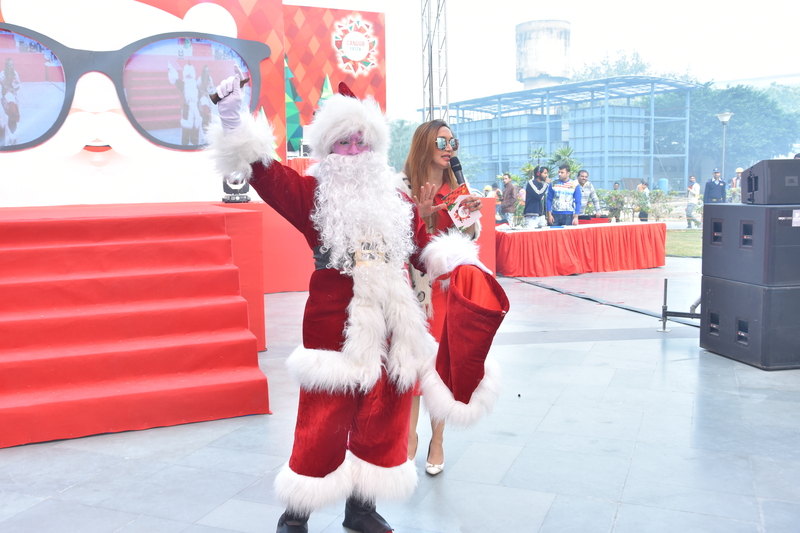 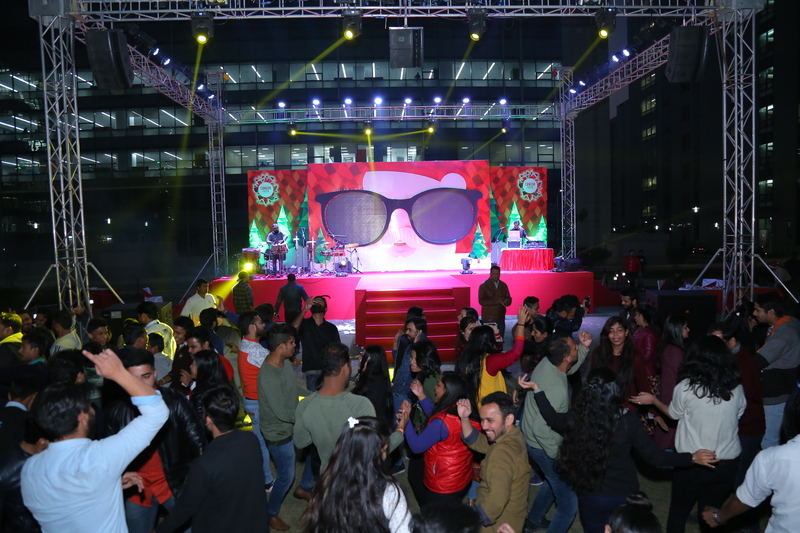 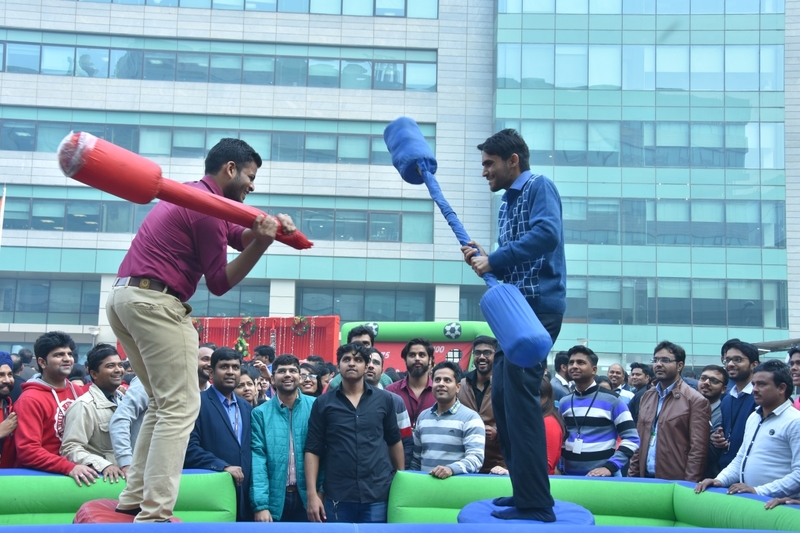 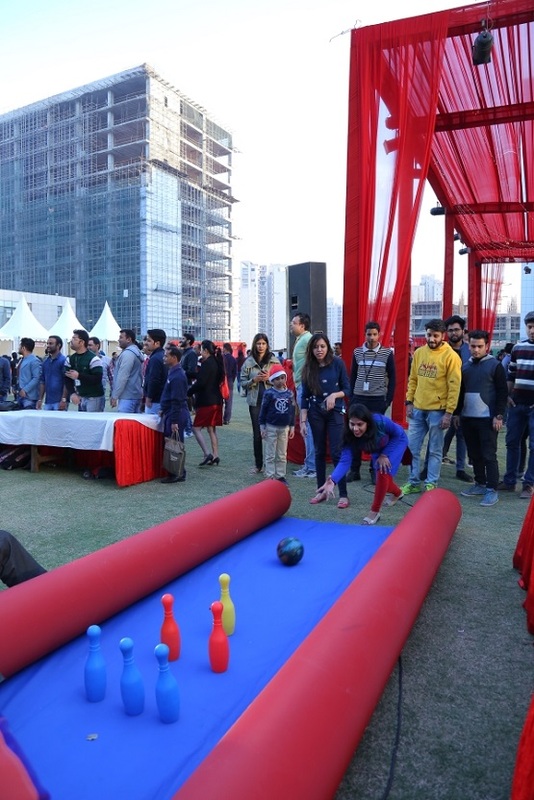 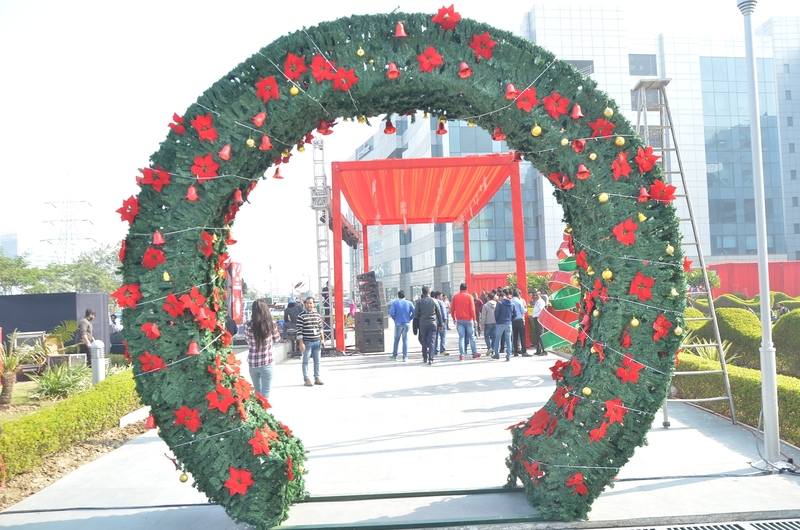 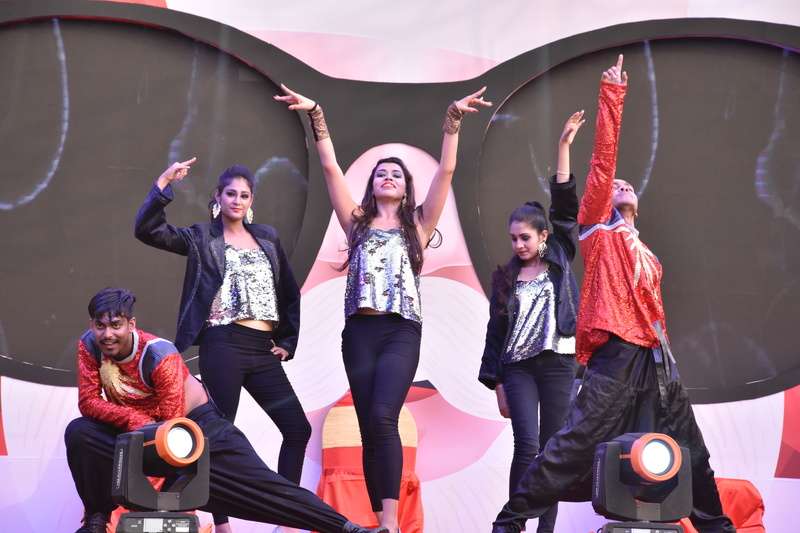 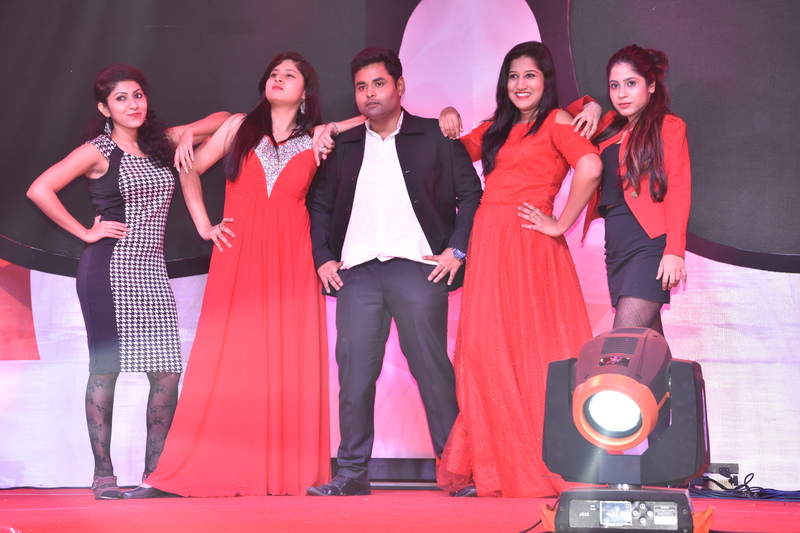 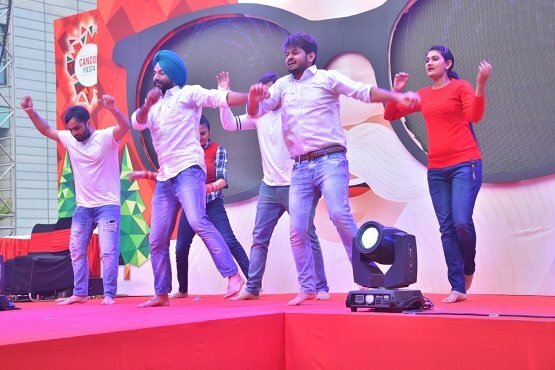 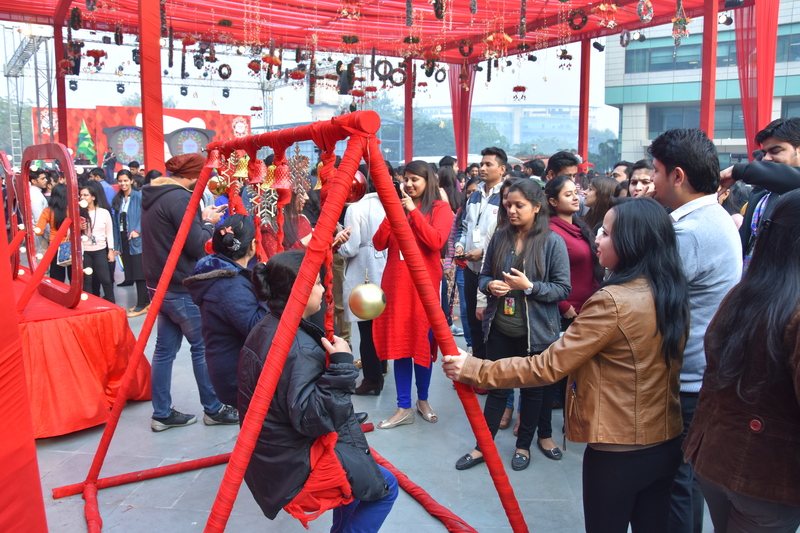 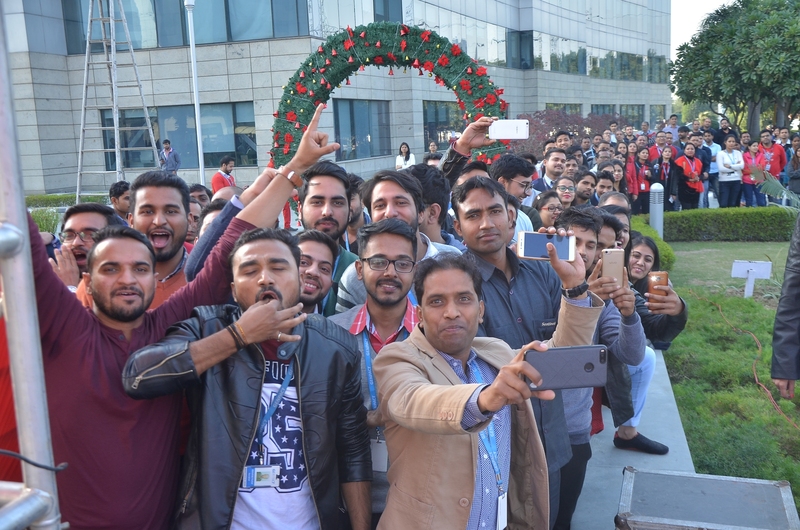 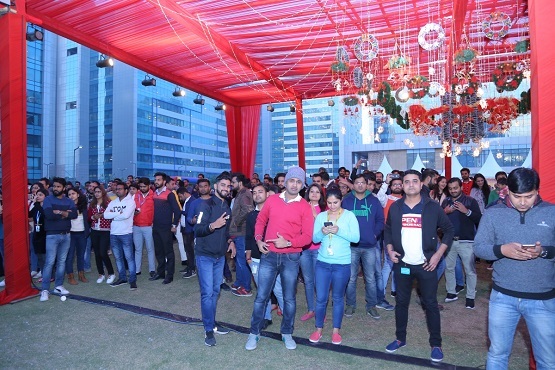 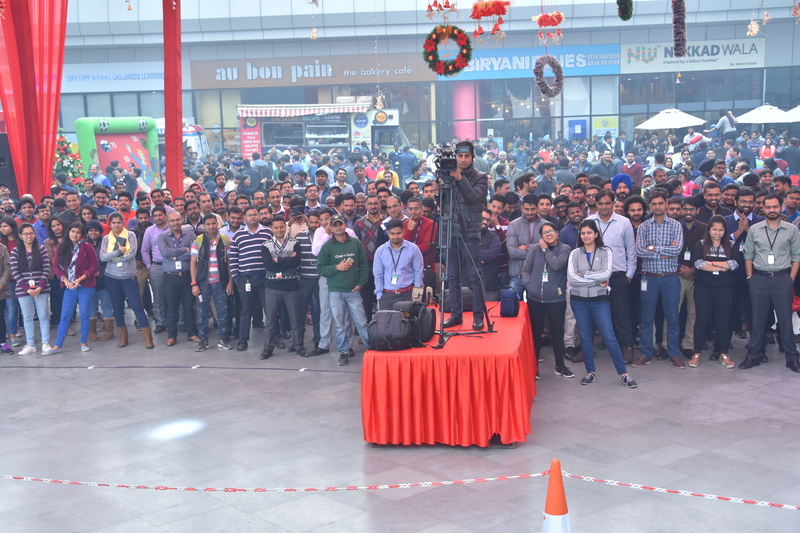 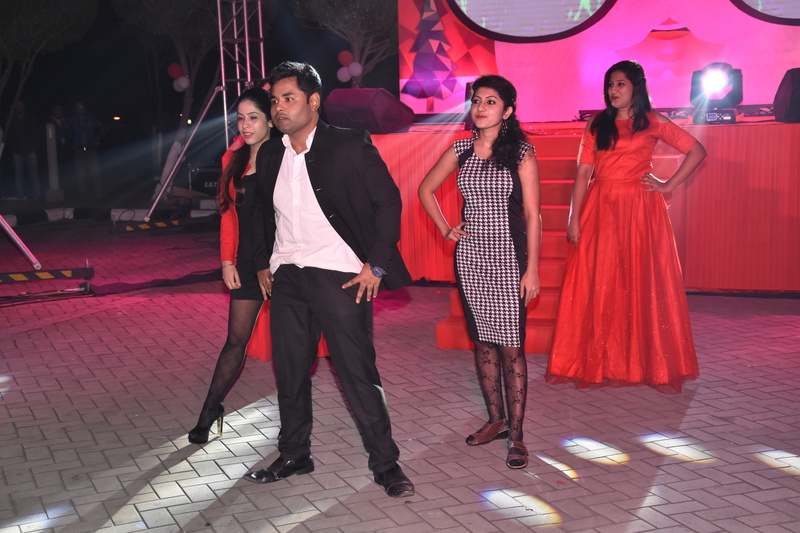 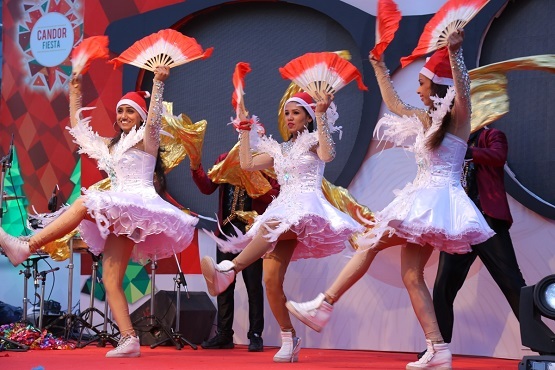 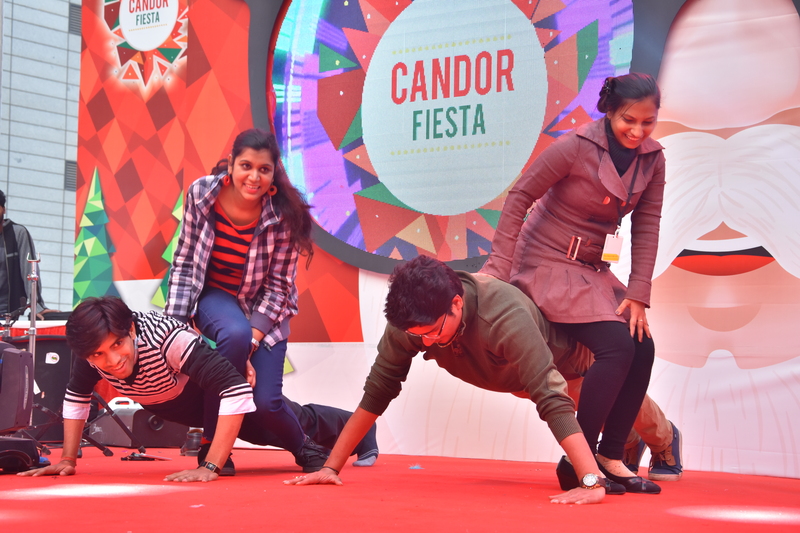 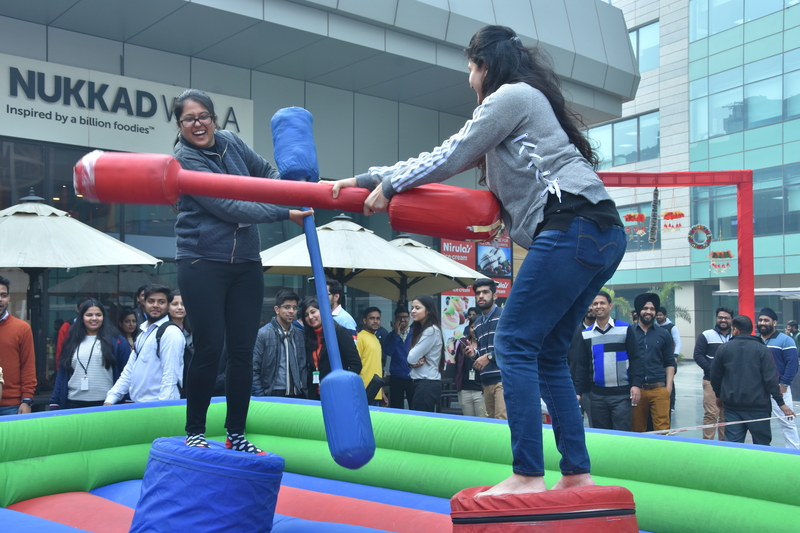 Christmas is one such festival when the city gets all decked up to celebrate the festival with much fervor so Candor TechSpace organized Christmas carnival at all the campuses from 20th Dec -22nd Dec 2017. 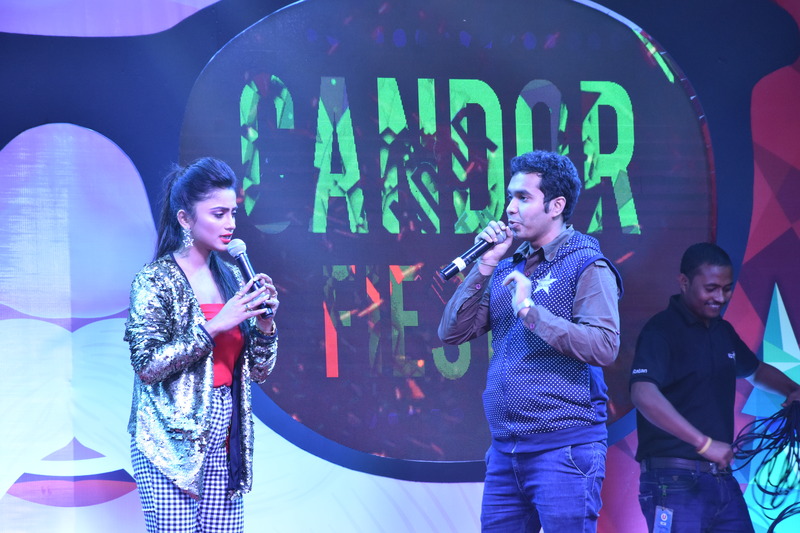 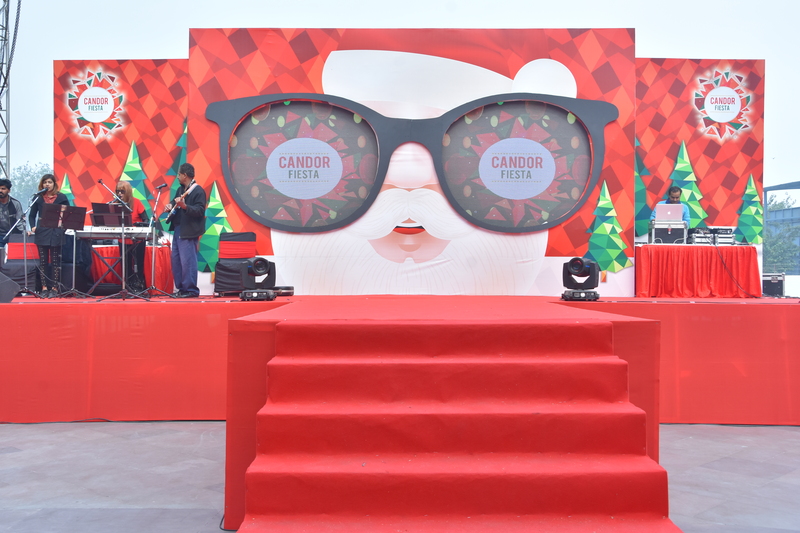 On a day prior to the event, the audition for “Candor’s Got Talent” was held at each location to choose the best among all the entries. 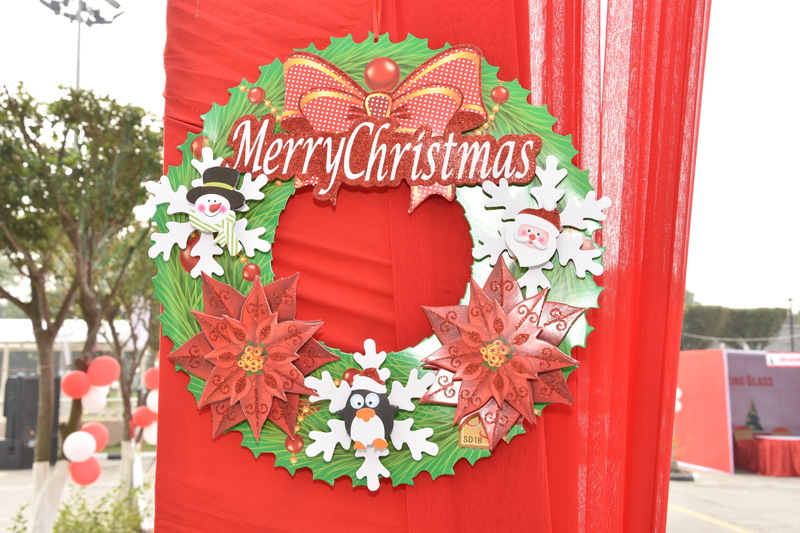 The lobbies were decorated with Christmas theme décor. 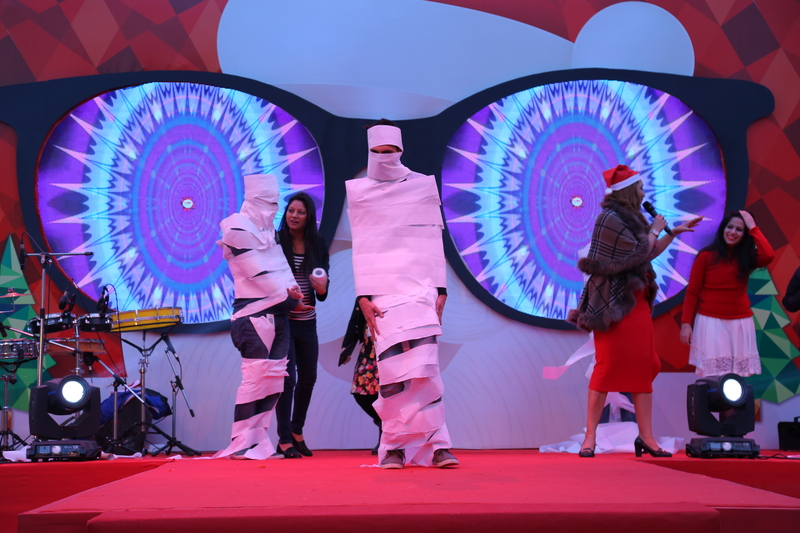 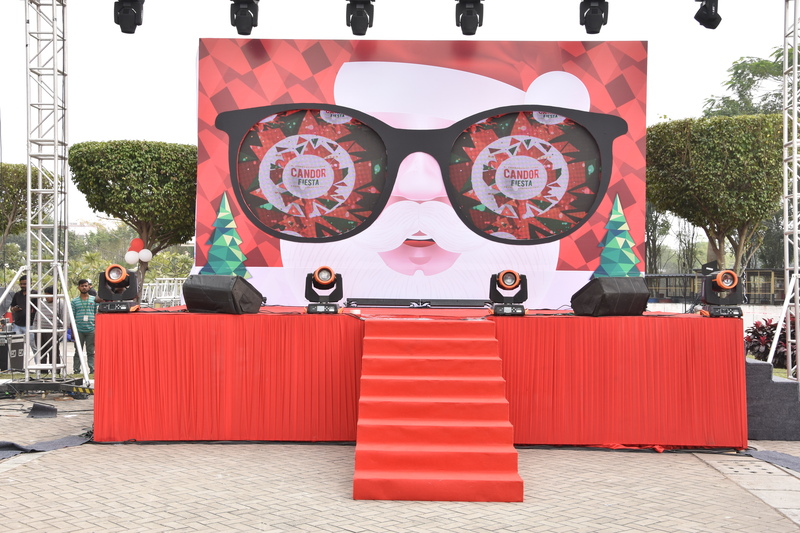 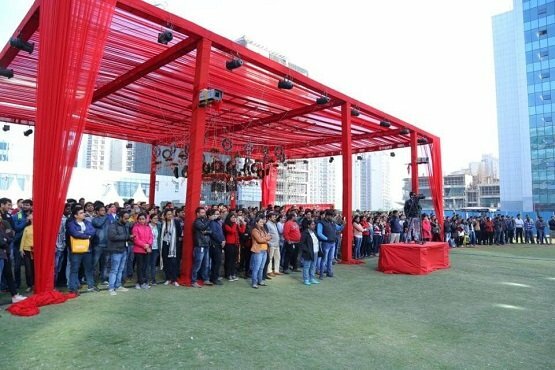 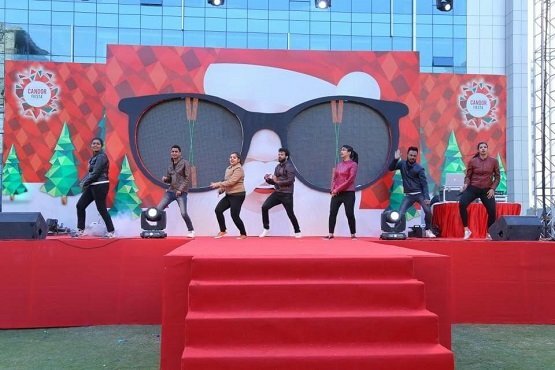 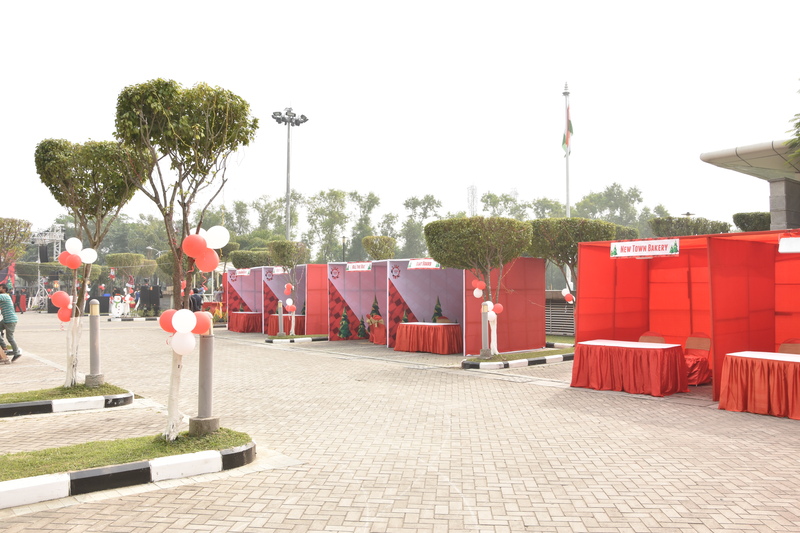 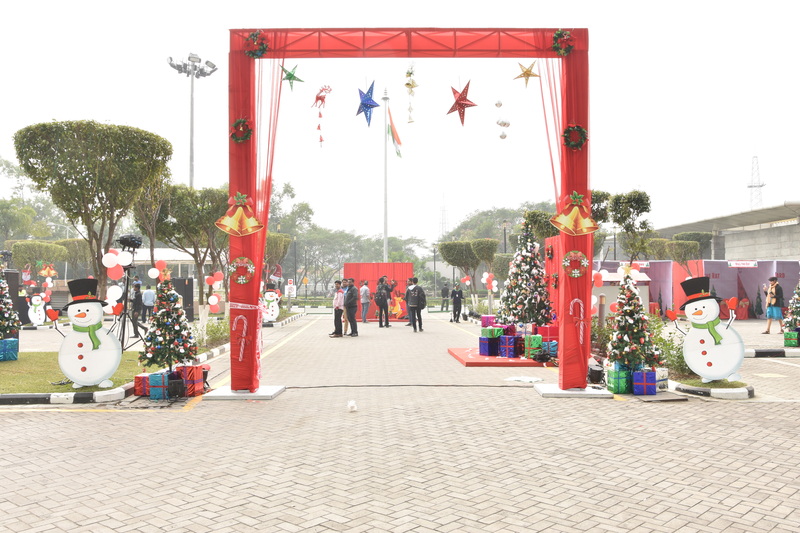 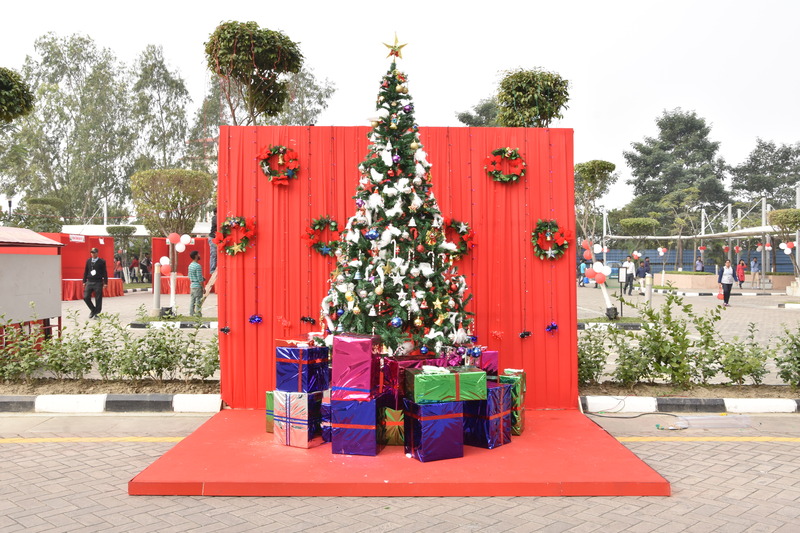 On the day of the event, pavilion was decorated with lights, cut-outs, white and red hanging with the Christmas theme, reindeer as photo-op and stage in the central lawn area. 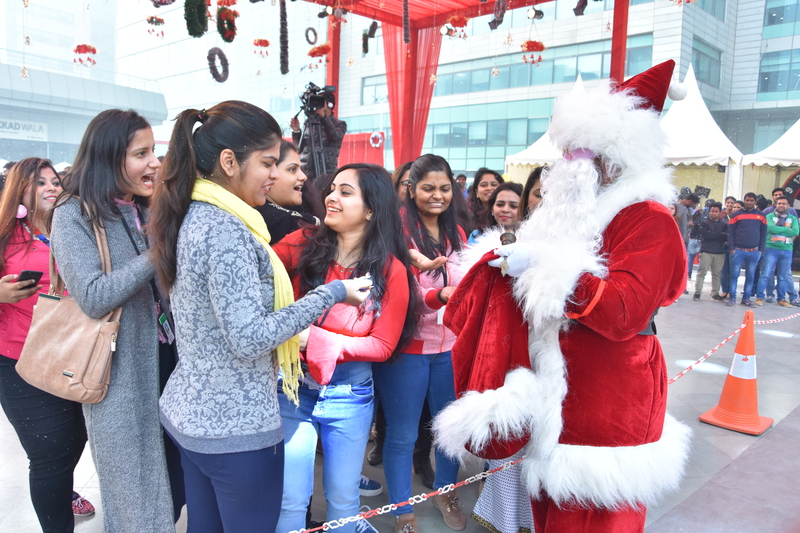 People were enjoying the Carols, live music, cakes, Muffins, and there was also jolly Santa distributing caps and chocolates to people. 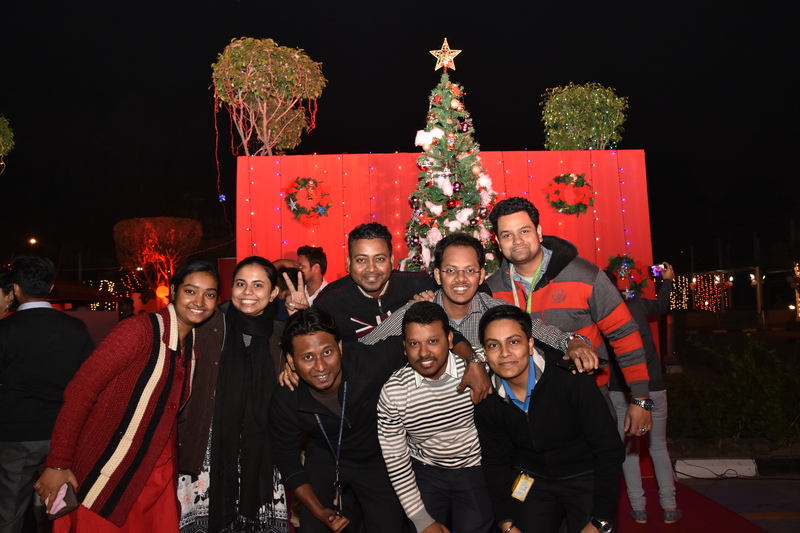 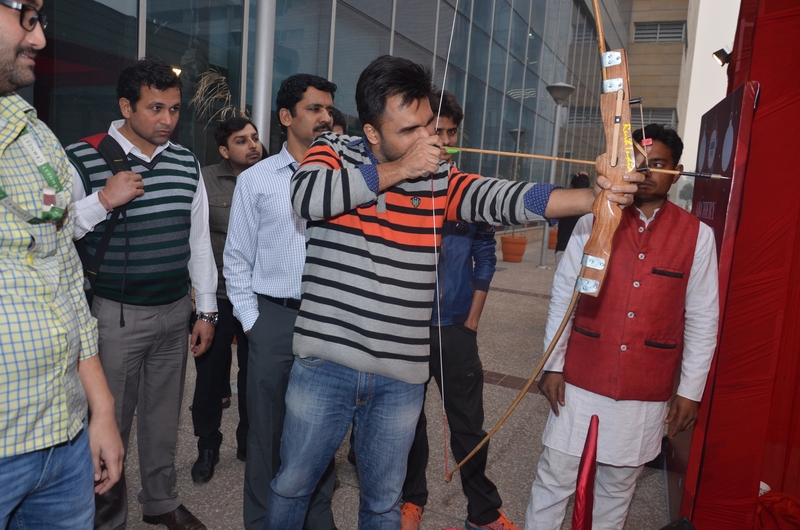 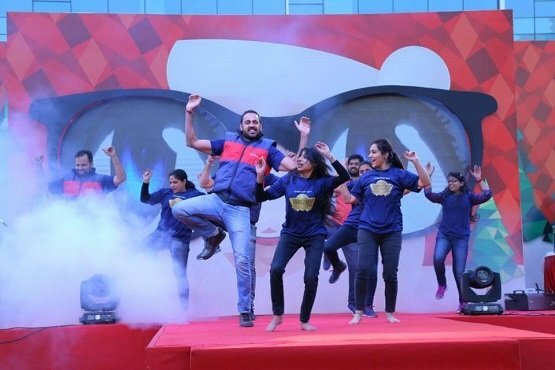 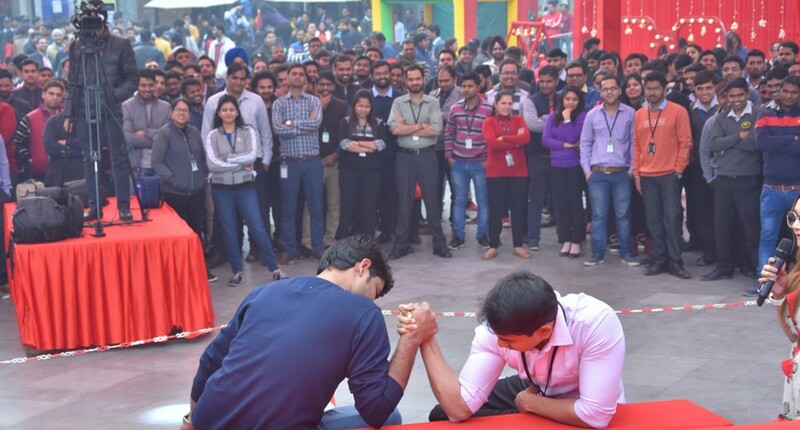 Employees from various companies like Alight, AON, Accenture, Barclays, TCS, Genpact, etc. 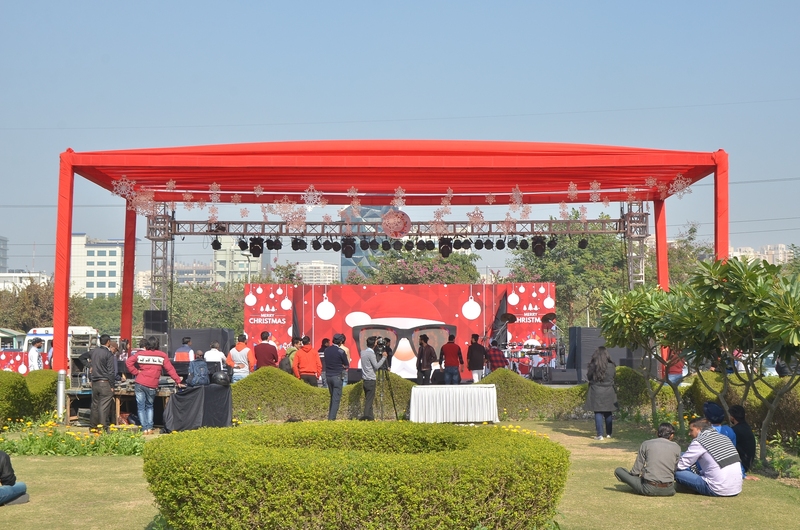 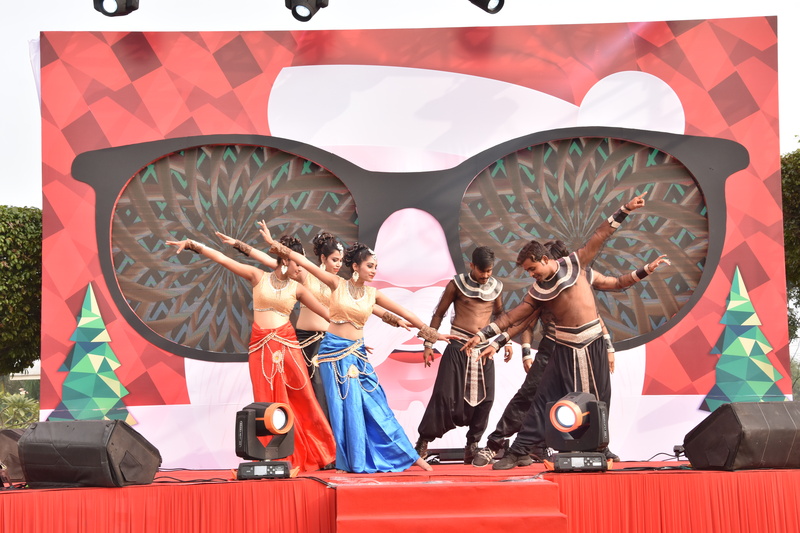 participated to showcase their talent and the best performance from each campus was awarded MINI Saregama Caravan. 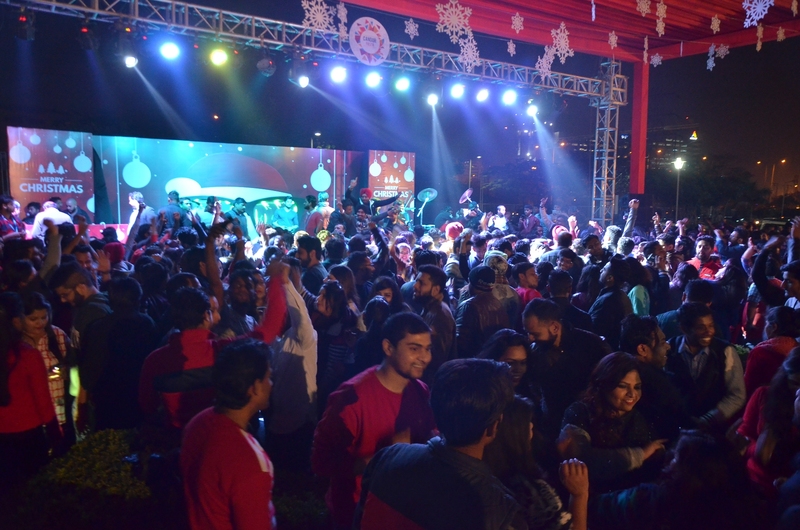 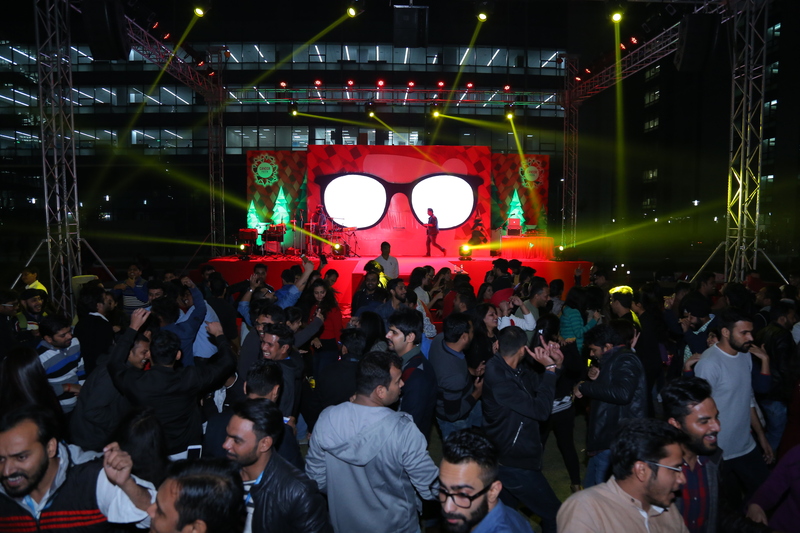 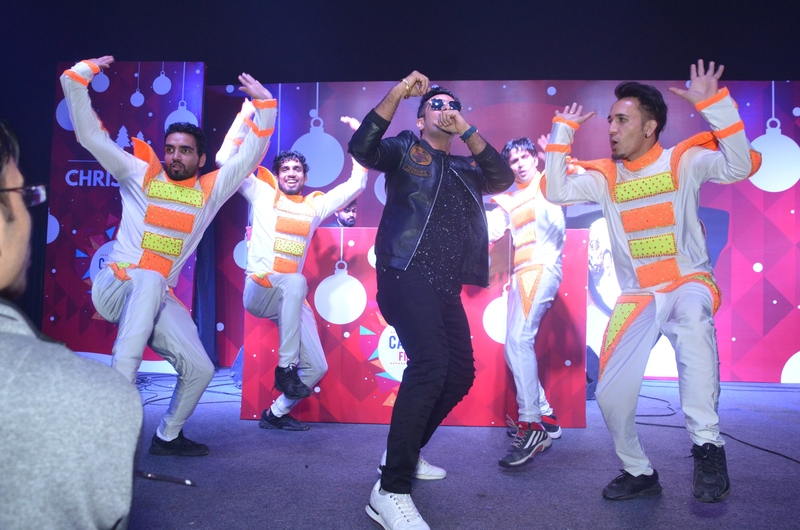 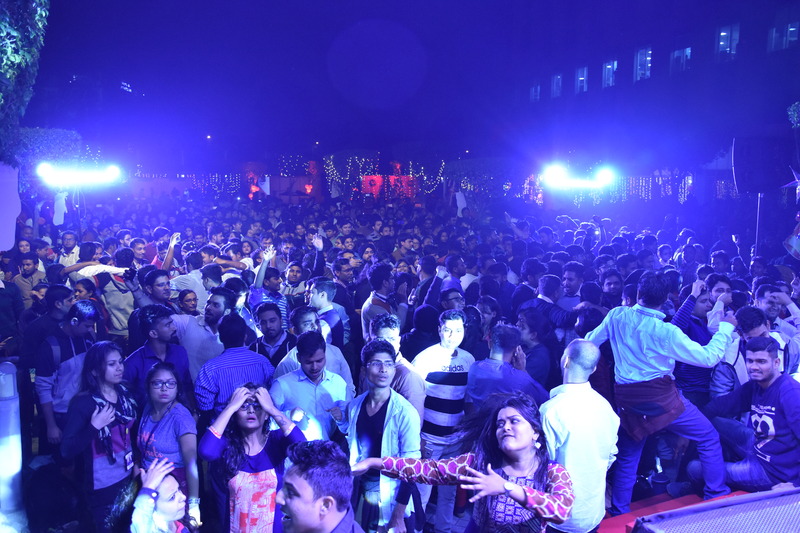 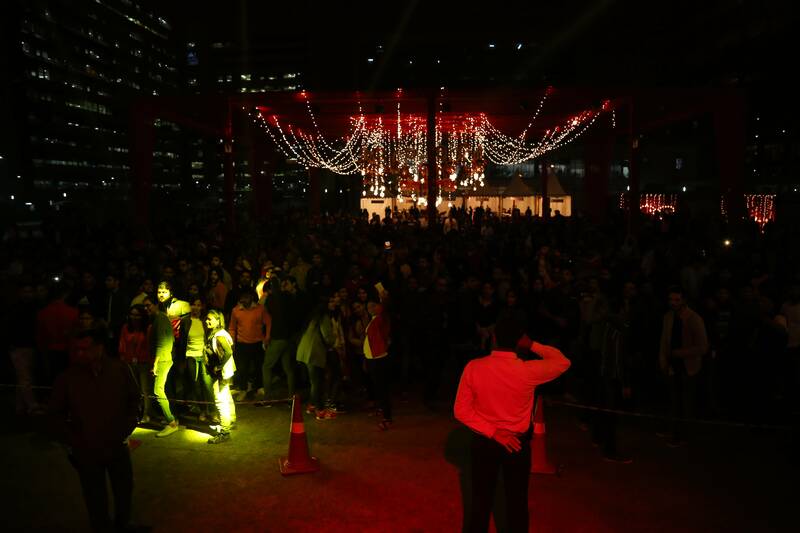 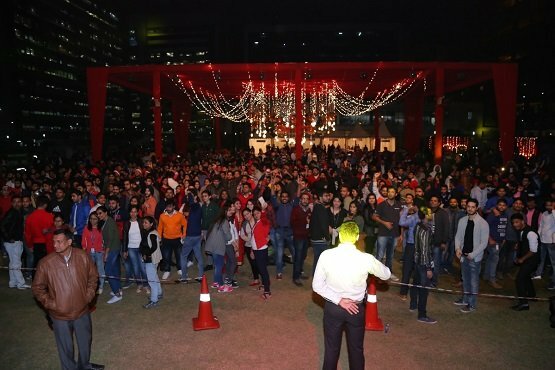 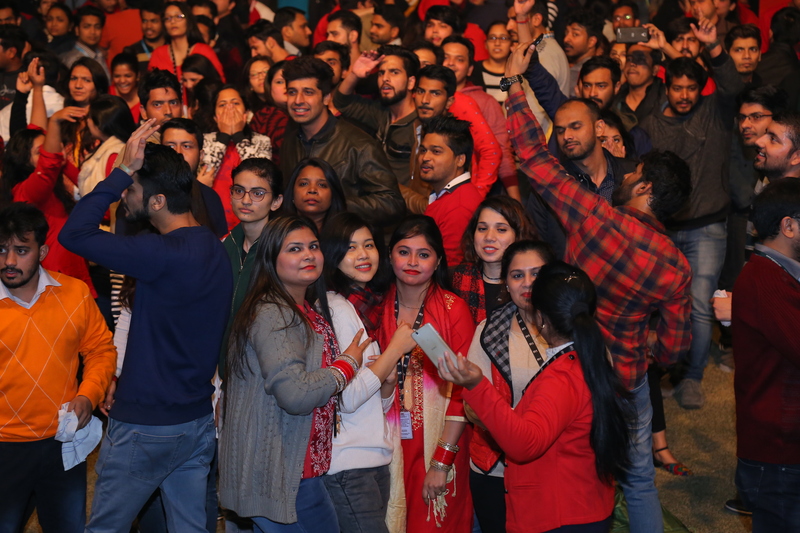 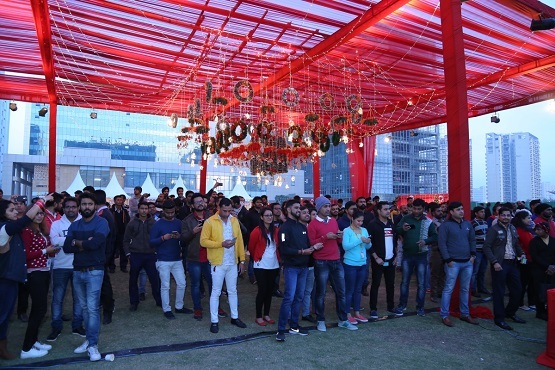 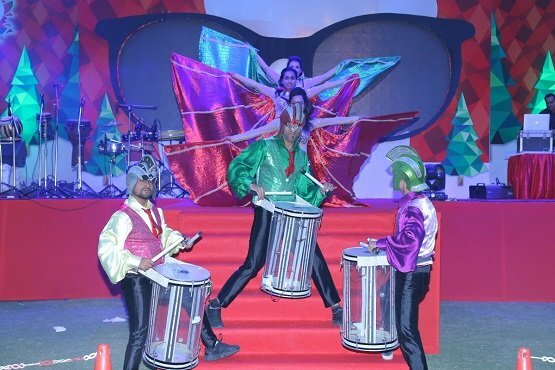 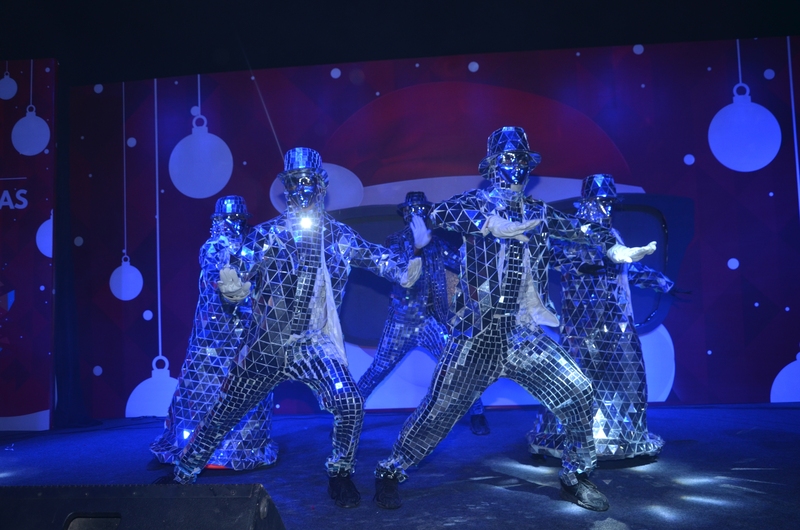 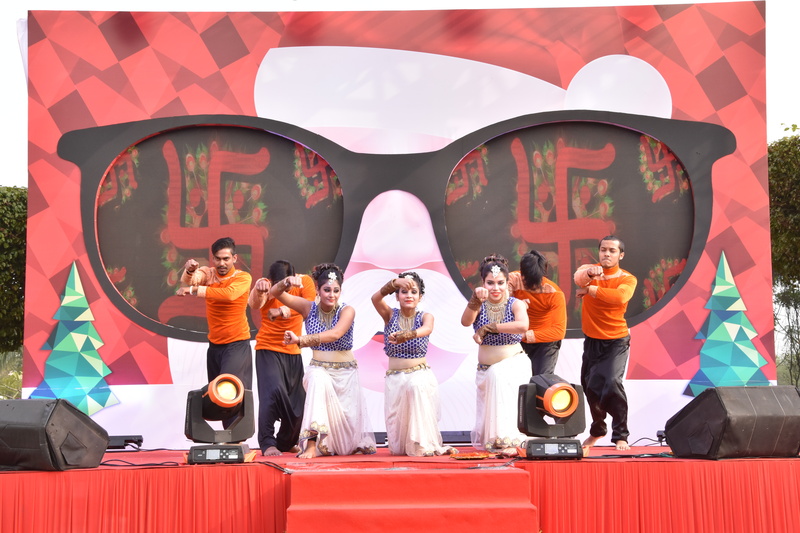 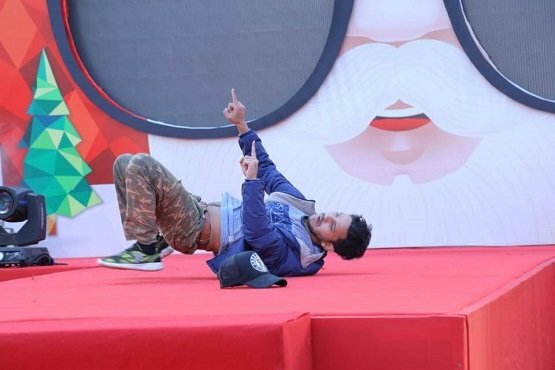 At the end of the event, people danced on the beats of music created by DJ + Percussionist, with snow pouring on the pavilion and giving people the feel of Christmas party which was the key highlight of the evening.